FAU is a leading university in many research fields at both a national and international level. The FAU Key Research Priorities are based on these research fields and play a key role in shaping the University’s research profile. 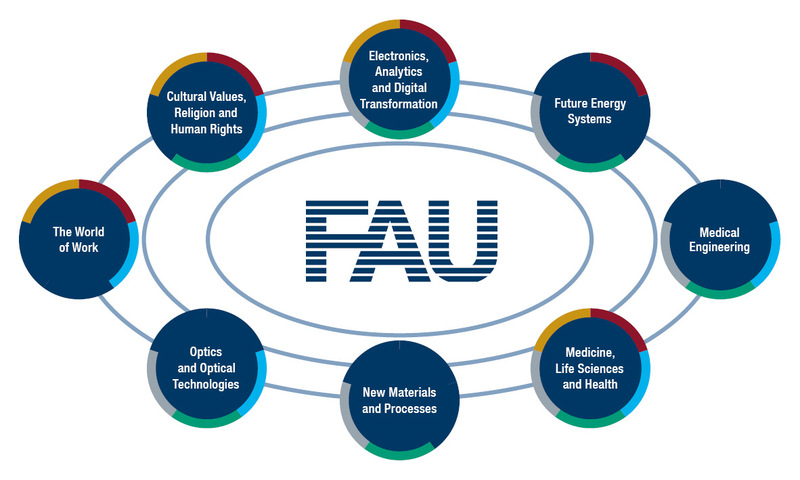 The FAU Key Research Priorities – which involve at least 25 professors across two or more faculties – include outstanding research, a high level of third-party funding and are recognised internationally. 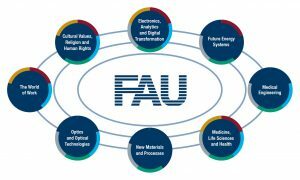 Each of the eight FAU Key Research Priorities is based on the contributions of outstanding FAU researchers who have been instrumental in the dynamic development of their respective research fields.